The First step to improving your school grades begins with the J.C. Academy’s acclaimed evaluation procedure. Prior to beginning tutorial sessions at the J.C. Academy all students undergo a written evaluation in the subject of their choice. The purpose of the evaluation is to allow the J.C. Academy Academic instructors to pinpoint areas and topics in which students have difficulties, so that we can concentrate on remedying their weaknessess. The evaluation gives the academic instructor a preview of each students capabilities, this allows us to have insight on each student’s extent of knowledge in the chosen subject allowing them to prepare a program and specific study habits before they even begin their tutorials. - Asses the students ability with basic computations at their given grade level. - Asses the students ability to solve a situational problem. - Pinpoint the steps the student takes to solve a situational problem. - Identify clearly the students strengths and weaknesses and where they need the most aid. - Asses the students reading level and comprehension. - Asses the students verbal communication skills. 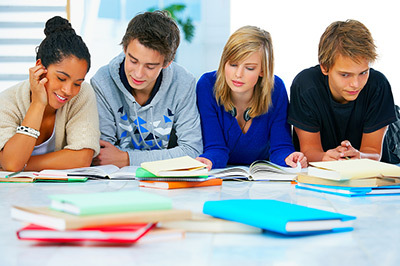 - Asses the students writing format (sentence structure and composition). - Asses the students appropriate usage of grammar and punctuation. - Asses the students capability to verbally communicate and respond in French. - Asses the students ability to express themselves in writing with the use of the French language. - Asses the students grammar, verb conjugation and application within their writing.